Looking back on last year, I am as proud as I possibly can be of Pearson and the 33,000 people who work here. We said that 2005 would be a year when all we've done to make our company a leader in its markets would begin to pay off, and we've kept our word. Sales were up 9%, growing faster than at any time in the past five years. Profits were up 22% to £509m, with margins rising to 12.4%, helped by our efforts to get leaner and more efficient. We generated more cash than ever before. Operating cash flow grew by more than a third and free cash flow by more than half, to £431m. Each business contributed to the growth. The largest - education - posted records, with sales up 12% to £2.66bn and profits up 22% to £348m. We're pleased with that financial progress and what it means for the value of our shareholders' (and our own) investments. But, as always with Pearson, the numbers tell only part of the story. The financial performance was the product of our achievements in helping students learn, helping business people make sense of the world, and helping stimulate the thinking and imaginations of readers of all ages. The value of those achievements is incalculable. Last year our education customers - teachers and students alike - really began to feel the power of a new generation of computer-delivered learning tools that help each student help himself. We launched a string of products that use on-the-spot, personalised assessment and different kinds of media to present material in varied ways and at varied paces; and we had some stunning results. Our aim continues to be to make education not just universally available, but universally effective. Last year our global business newspaper restored its profitability and upheld its singular reputation around the world. It benefited from a sharp focus on business and financial news, comment and analysis; and it benefited from its uniquely international perspective - making it an attractive worldwide advertising medium and extremely pertinent in coverage of the long-expected phenomenon of the globalisation of business and politics. Last year Penguin celebrated its 70th birthday in vintage form: it numbered among its authors those who won the year's best prizes - a Pulitzer prize, a National Book Award, the Whitbread Book of the Year award, to name a few. And while it was celebrating, it did what Penguin has done best for seven decades - it invented some new ways to publish its renowned bestsellers. We believe education - lifelong, from childhood through our working lives and into our dotage - will be one of the great growth industries of the 21st Century. While the developing worlds of China and India are getting younger, America and Western Europe are getting older, yet both ends of that spectrum will have to learn and go on learning. Our health and the cost of living and state of our pensions allow and require us to work longer than our forebears; and our economies now need workers with brainpower more than muscle power. About 60% of all Pearson's sales already come from institutional education, but we see the opportunity as a lot wider than that. Much of education does not happen formally in a classroom: much of learning is on-the-job; much of it is in the process of entertaining ourselves; much of it is through what we read; much of it is through talking to others about what they have read or learned or interpreted. Above: All Pearson's businesses depend on people wanting to read for education, information or entertainment. Good reading habits are learnt in the early years and in 2005 we published Reading Street, our new elementary reading curriculum. Millions of American elementary school children will learn to read through this programme, the first to comply with the US Department of Education's nationwide literacy initiative, Reading First. So we've been building an education company to suit that world. We want to be the biggest, the most effective, and the most valuable. But most importantly, we want to be the kind of 'education company' that is focused on making people more able to learn in different ways; more able to get a job; more able to move on in their career; more able to make better decisions; more able to understand new concepts; more able to use their intellect to solve problems or just to draw more out of life. Market leadership Our brands are some of the world's most durable and most familiar. Many of them define their product categories. The Financial Times stands for probing business news and analysis. Penguin stands for a quality read...and a good read. In formal education, too, our brands are world leaders: Scott Foresman in elementary schools; Prentice Hall in secondary schools and, with Addison Wesley, on college campuses; Longman in English language teaching. Coupling those brands with outstanding content, inventive technology applications and constantly improving operations has given Pearson its edge. Organic investment For many years, even the leaner ones, we've been investing from the inside out, improving our products and services. We've steadily devoted capital to the publishing industry's version of 'research and development' - new books and new teaching programmes. As a result, we're publishing more first-time Penguin authors; more first editions in higher education; and more major school programmes than ever before. We've also allocated a good bit of that organic investment to some newer, fast-growing areas (for instance, school testing, professional certification, learning software). We invested in technology early, consistently during the internet boom and stolidly through the bust to prepare our businesses for the age of digital media. That age is here, and we're ready. International expansion Their international reach sets each one of our businesses apart. We've taken the Financial Times from being the UK's business newspaper to being the world's business newspaper - the only paper with more readers outside its home market than in. 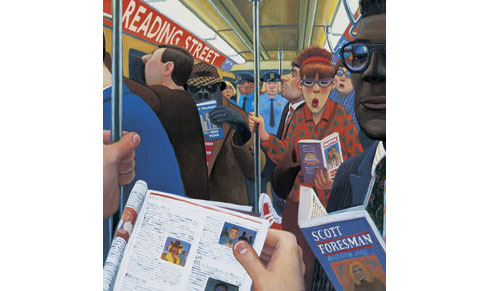 Penguin stands for high quality books throughout the English-speaking world. We help more people around the world learn English than any other company. And our education business has sales of $1.4bn outside the US - three times the size of its nearest competitor. Efficiency improvement All the while we've been investing in growth and change and technology, we've also been trying to become more efficient, usually by making more of our scale as one company. Pearson's margins improved from 10.8% in 2004 to 12.4% in 2005 and our working capital to sales ratio improved by two percentage points to 27.4%. We've now saved many millions in costs, and in the process we've also become better at sharing assets. By the end of this year, we will have made more than $1bn of revenue from products and services that involved more than one Pearson company in their creation and sale. Above: For the past four years, while the FT's business and financial advertising suffered, its luxury goods categories boomed. We invested heavily in How To Spend It, the FT's luxury lifestyle magazine which appeals to the hearts of the FT's affluent readers and the minds of discerning luxury goods advertisers. 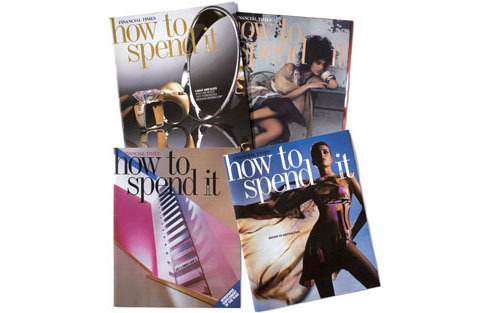 How To Spend It is now established as a premier advertising vehicle for the world's most exclusive consumer goods companies, and its advertising revenues have increased at an average rate of more than 10% over the past four years. Constant change From 1997 to 2000, Pearson embarked on a radical transformation from a company with diverse, well-known and respected assets to a company united by the similarity of focus and assets and attributes of all its businesses. Since 2000, we've shifted our focus from that pruning phase to organic growth and operating efficiency. But we're never finished evolving. Our industries are changing fast, and we're constantly reviewing our approach to that change for the whole company and for its individual parts. Over the past four years, we sold three times (by value) as many assets as we acquired. In 2005, we sold our stakes in Recoletos and MarketWatch, though both are very fine companies, and we made a series of small acquisitions to take our businesses into new markets (special needs education through a company called AGS, teacher development and school reform through Co-Nect and professional testing through Promissor). 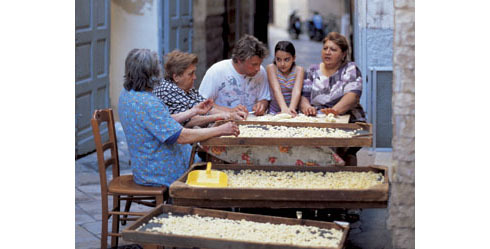 Above: In Jamie's Italy, one of Penguin's 183 bestsellers in 2005, chef Jamie Oliver travelled the country learning about the culinary traditions and techniques that have passed from generation to generation. His previous book Jamie's Dinners, also a 2005 bestseller, sparked a national debate in the UK about the quality of school meals and the importance of healthy eating. We believe these attitudes and actions put us on the path for producing continuing growth in sales, profits, cash and return on capital; for continuing to increase our dividend above inflation; and for continuing to build an enduring business of increasing value that helps educate people in a variety of ways. To our shareholders, thank you for sticking with Pearson through some tough years. I hope you feel that in 2005 we began to repay your trust and patience. All of us are working to make good on our promise again this year, and well into the future.